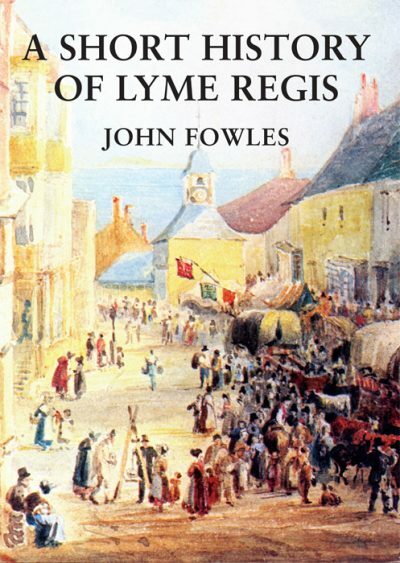 JOHN FOWLES lived in Lyme Regis from 1965 until his death in 2005. Between 1979 and 1988 he served as curator of the Lyme Regis Museum, a post which – in his own words – repeatedly, and happily, led him to revise his image and views of the town’s past. He remains one of Britain’s most succesful post-war novelists and his work continues to enjoy an international reputation. His novels include The Collector (1963), The Magus (1966) and The French Lieutenant’s Woman (1969), of which much was set in Lyme and was later made into an Oscar-nominated film starring Meryl Streep and Jeremy Irons. He is also author of Lyme Regis Camera, published by the Dovecote Press in 1990.